Smith Neufeld Jodoin LLP would like to congratulate the Honourable Justice Roger Rhéal Lafrenière on his appointment to the Federal Court. Justice Lafrenière was sworn in as a Federal Court Judge on September 15th, 2017 in Ottawa. Raised in Sainte-Anne-des-Chênes, Manitoba, Justice Lafrenière was an active member of the vibrant Franco-Manitoban community. Justice Lafrenière was called to the Manitoba Bar in 1983 and the Ontario Bar in 1996. He was appointed prothonotary of the Federal Court in 1999 a role in which he served with distinction for 18 years. 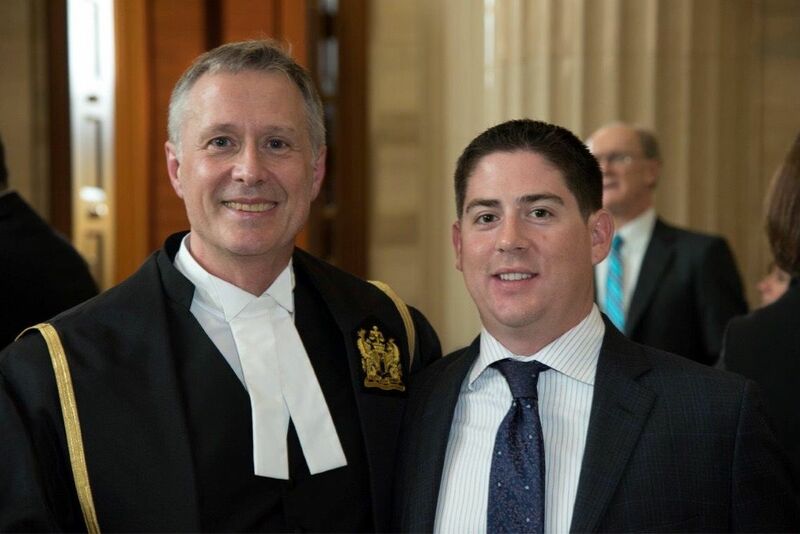 Justice Lafrenière is the uncle of his proud nephew Mathieu Roger Lafrenière an associate at SNJ.